Recently, the United States pulled out of its worst economic recession since The Great Depression. There were not too many people who avoided being hit by the poor economy. 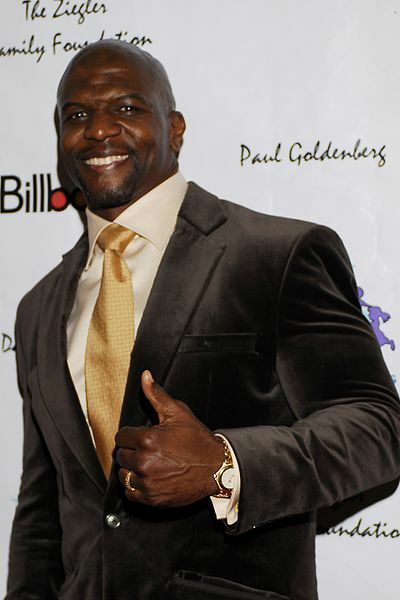 Despite becoming one of the biggest black stars out, Terry Crews was hit by the rough economy. It was rough on Crews, but he decided to work his way out of the situation. For a long time, Terry Crews worked hard to land quality roles on television and film projects. His big break came when he played as the replacement of Deebo on Friday After Next. The role led to a string of guest appearances, including "My Wife and Kids." Soon, Crews would find himself playing the father in a family sitcom. In 2005, he was cast to play the father to a childhood Chris Rock on "Everybody Hates Chris." The fans quickly fell in love with Crew' Julius, the super-cheap father of three in 1980s Brooklyn, New York. For four years, he played the role and the show became a crossover hit. To this day, people still quote some of Julius' money-saving tips as a joke. Despite the popularity of "Everybody Hates Chris," the network cancelled the show because they were headed in a different direction. Right after the announcement was made, Terry Crews reached an agreement with BET for his own reality show, "The Family Crews," where he continues to play the dad. Due to the popularity of "The Family Crews," it will be returning for a second season on BET this summer. In addition to his BET reality show, Terry Crews was also cast to play the lead role in the new TBS sitcom. For the second time, Crews has partnered with Ice Cube and he is playing the dad again in "Are We There Yet?" This time around, Crews is the stepfather of two children who are not fully sold on him. The first week ratings for the show were high and Terry Crews received acclaim for his role on the show. However, the rest of the show has been considered an all around disappointment. Ever since the cancellation of "Everybody Hates Chris," Terry Crews has appeared on almost everything, earning the nickname of Black America's Dad. This is no coincidence because Crews was laid off during a tough economic period like many other people. He pulled himself up by the bootstraps and decided to make things happen. Terry Crews said he needs the work just like everybody else, so he used his popularity to build a brand. Outside of the television shows, he even has a contract with Old Spice to do their commercials and he has no plans of slowing down.